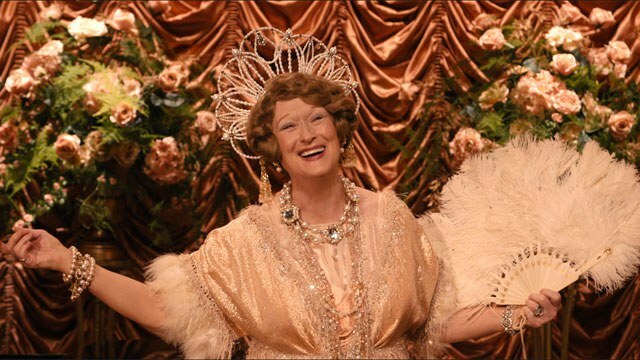 Film Review: Meryl Streep's "Florence Foster Jenkins"
There seems to be little middle ground for period piece biopics. Some -- the uplifting stories with which audiences are already familiar -- garner critical praise and impressive box office returns while fascinating footnotes of history -- those largely unknown or ignored "stranger than fiction" tales -- are typically received with lukewarm reluctance. One of the most glaring examples in relatively recent memory is the 2000 Jacqueline Susann biopic, "Isn't She Great?" an amazing story rendered impotent by the heavy-handed hamming of Bette Midler and Nathan Lane. I use this particular example because Meryl Streep's latest film, "Florence Foster Jenkins," while sharing a suspiciously similar plot with the former, is directly parallel to the box office bomb on the cinematic bell curve. Two stories, both of powerful of spirit if not totally talentless women with unending support from their respective husbands, and yet while Midler's movie failed, Meryl's latest venture is but another rousing addition to the pantheon of her stellar career. 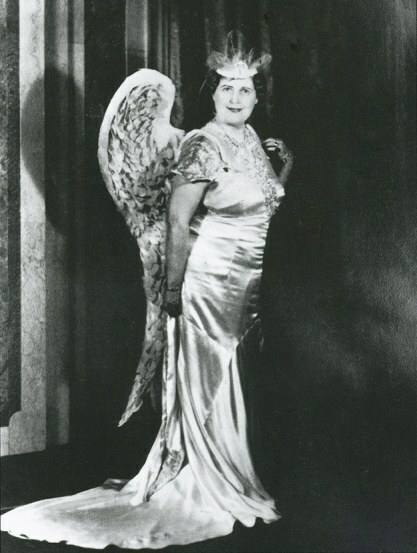 The film tells the story of Florence Foster Jenkins, an heiress and aspiring singer who, despite an overwhelming lack of talent, actively pursued a singing career over the course of decades in the early 20th century. Though plagued by hecklers, critics and detractors throughout her career, Jenkins -- who famously quipped that "people may say I couldn't sing, but no one can say I didn't sing" -- managed to sell out Carnegie Hall a scant month before her death at age 76. The real-life grande dame of delusion. Due, no doubt, to the fact that this is a wholly British production (BBC produced it and Hugh Grant plays the male lead, how much more British could you get? ), the ludicrous topic is handled with a remarkable amount of restraint. Though wholly immersed in a cloud of self-delusion, her own creation, abetted by many, rarely does Streep's portrayal of Jenkins come across as pitiable; rather, the formidable "Madame Florence" commands a respect from audiences both onscreen and off. What is perhaps most astounding is the fact that this film -- through stirring performances by Streep, Grant and Simon Helberg of TV's "The Big Bang Theory," as well as Danny Cohen's expert cinematography -- manages to wring such poignancy and inspiration from what is, on paper, a one-note joke. Even the scenes depicting Jenkins' "performances," -- comedic low-hanging fruit which could have easily been weighted by cliché -- are portrayed with what borders on reverence. If the real life chanteuse managed to convince herself that she was of rare talent, Streep's depiction achieves this on a wider scale. "Florence" avoids the mistake made by Midler's 2000 turn as the legendary author Susann and, rather than making a feeble attempt to integrate the spouse into the plot, more or less centers the plot around St. Clair Bayfield, Jenkins' common-law husband with whom she shares a mildly unusual living arrangement (he lives with his girlfriend, Flo foots the bill). Grant's Britannic upbringing serves him well as the stoic anchor to Streep's extravagant and eccentric character as well as a wider series of oddballs who lend both a tenderness and frivolity to an already outstanding production. Grant's portrayal of Bayfield, a 20th century Sisyphus forever shielding his beloved from scathing reviews, is done so with commendable poise, especially considering his burden of playing the "straight man" to several characters who, while outrageous, never cross over into that dreaded territory of cheap stereotypes. With a superb cast, quality camera work and a unique story, the movie more than makes up for its only flaw; haphazard exposition. 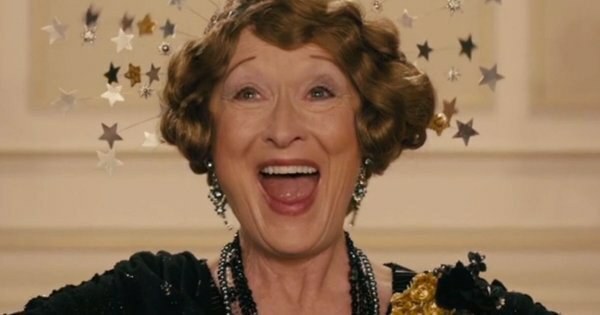 It is a period piece of substance and a film of which the soon-to-be legendary Ms. Jenkins would approve of wholeheartedly, one which will undoubtedly earn La Streep her 20th Oscar nomination.